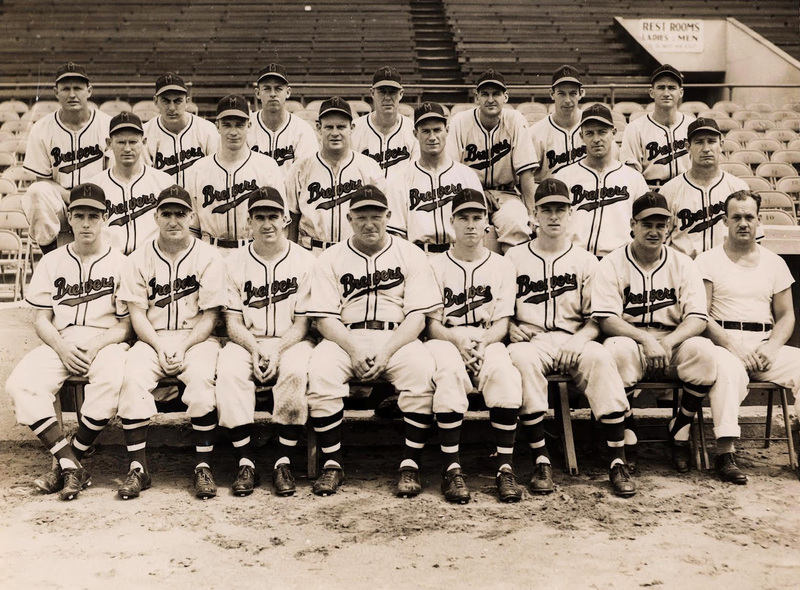 Ladies and gentlemen, your 1947 Milwaukee Brewers. 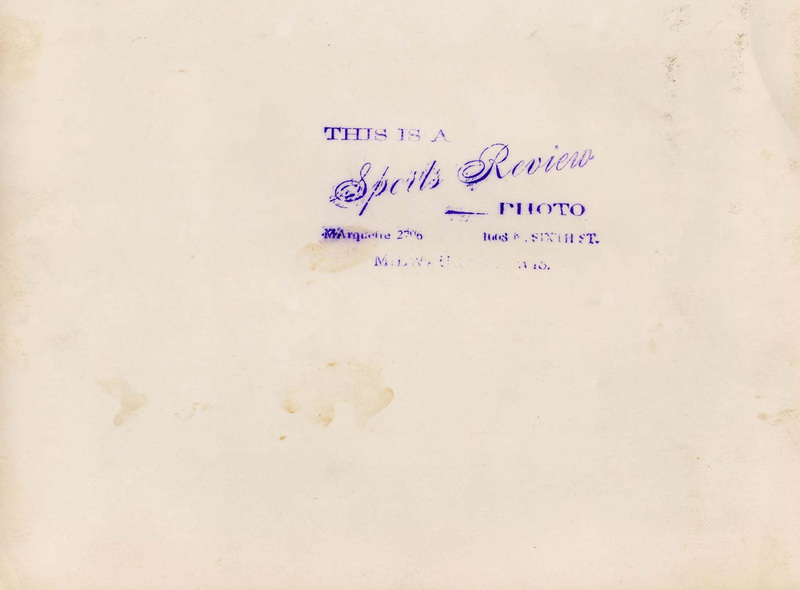 The reverse bears a photographer's stamp from "Sports Review", located at 1008 North 6th Street in Milwaukee. That address is across the street from Milwaukee Area Technical College, where my grandmother taught for decades, in a block that was swallowed up in the 1980s by the Bradley Center construction. If those Brewer uniforms look somewhat familiar, they should. 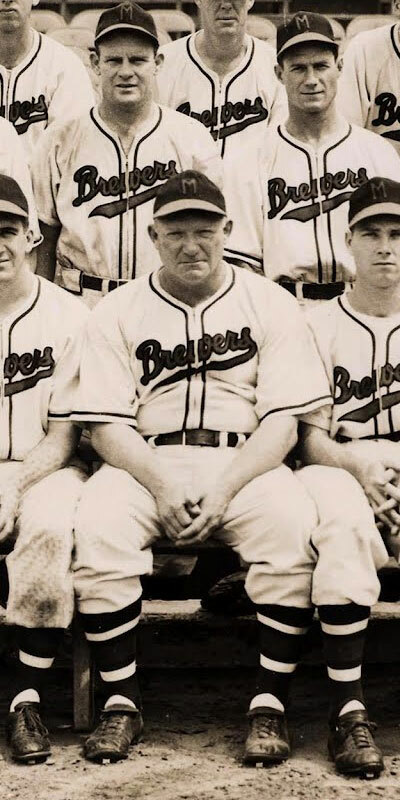 They represent a half-way point in the evolution of the Brewers' uniforms from the Bill Veeck era to the Boston Braves-inspired uniforms they would wear during their final seasons in Milwaukee. 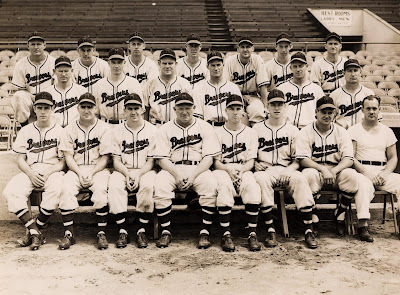 The "Brewers" script is essentially the same as it had been since 1942, although the color was darkened slightly to a midnight navy. The blue soutache was replaced with the Braves' signature navy/red/navy piping. The caps are navy with red brim and block "M". Those caps would be the first thing to change, replaced with a white block "M" to match the parent club's "B". 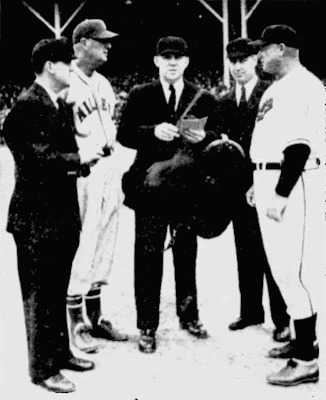 The script wordmark would be next, and by 1952, the Brewers' last year of existence, the uniforms' evolution was complete.